At the Soroptimist International of Great Britain and Ireland Federation Conference in Brighton in October 2011, the Club was honoured to receive a nomination (one of 3 clubs) for a Best Practice Award in the category Economic and Social Development for their Foston Hall Project, and although the club’s project did not win the award in this category, it was nevertheless a great achievement to have been nominated, and a recognition of all that had been achieved during the year. 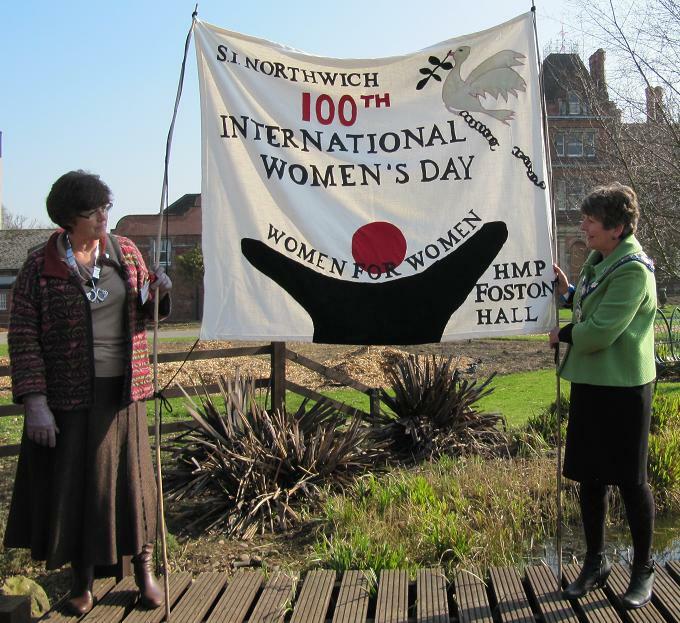 Through Past President Jane Webb’s work with and knowledge of the prison service, contact had been made with HMP Foston Hall, and the opportunity was taken to widen the Club’s horizons during the year by initiating a Programme Action Project at Foston Hall to add value to the Jane’s chosen charity for her year ‘Women in Prison. Ideas for the project had been discussed with the Prison Governor and these followed three themes: provision of toiletries, magazines, books and stationery for the women; visits from club members to learn more about women who offend and life in prison; and sponsorship for events chosen by the women to raise money for their charities, and for a garden project and furnishings for a Visits Centre for visiting families. Throughout the year club members ran events and collected for toiletry packs, donated books and magazines which were taken to the prison on visits. Members inside the Prison. Apprehensive? The visits were a real eye-opener for us; most club members had not visited a women’s prison before. 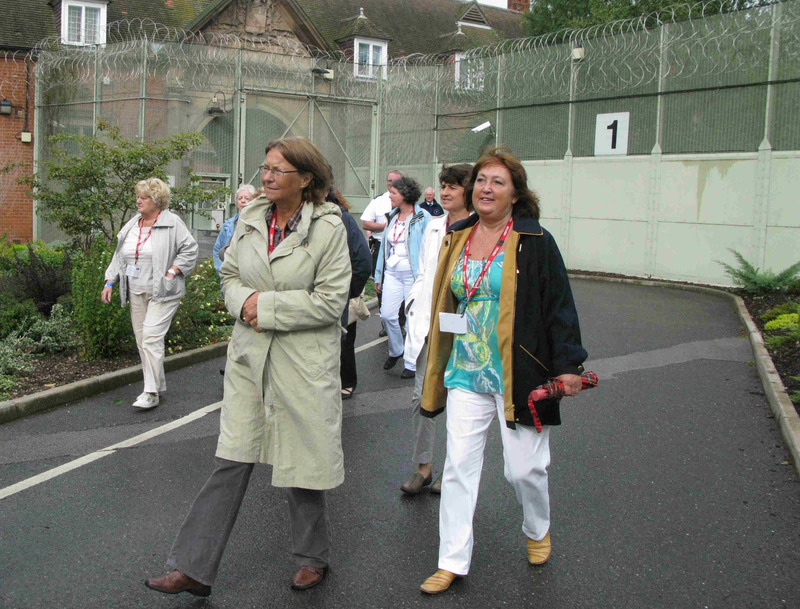 In discussions with the women prisoners who led us on tours of the prison, and joined us for lunch with the Governor, we found out much about why women offend, and what happens to women in prison. Many came from abusive and drug centred backgrounds. We were enormously impressed by the women we met, who warmly welcomed us. They took great pride in showing us their award winning garden and animal sanctuary, and enthusiastically responded to our questions. They talked very positively about the education and training opportunities available at the prison and those we met were clearly taking advantage of these to enhance their skills and gain qualifications which would be of use to them in the future after they were released. We all felt that, through the visits, we established a real rapport with the women, even after such a brief time with them. We gained an insight into how the women were dealing with this difficult period in their lives and were preparing for a future beyond prison. Amongst the achievements of the Foston Hall Project, two highlights stand out. 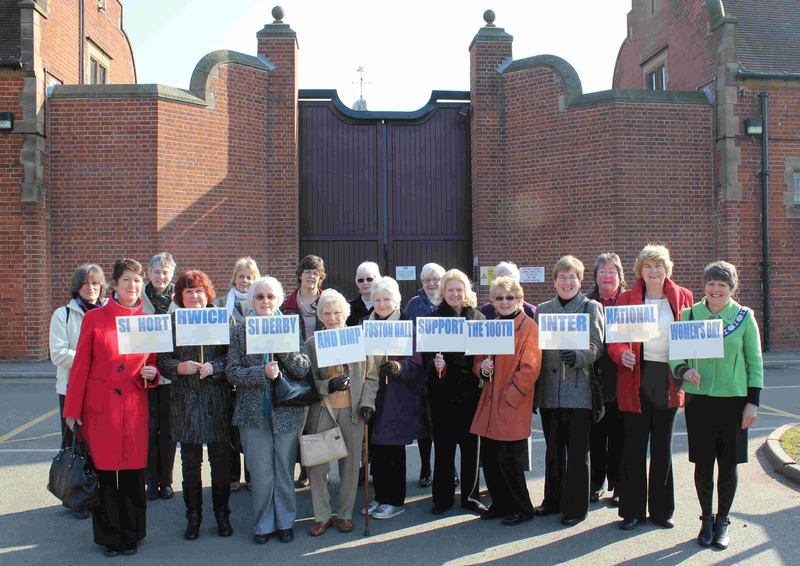 In support of Soroptimist International’s Quadrennial project, Project SIerra, the women initiated a sponsored walk of 845 miles which is the length of the border around Sierra Leone! They walked round the sports field, on the running machine as well as “rowing” in the gym. 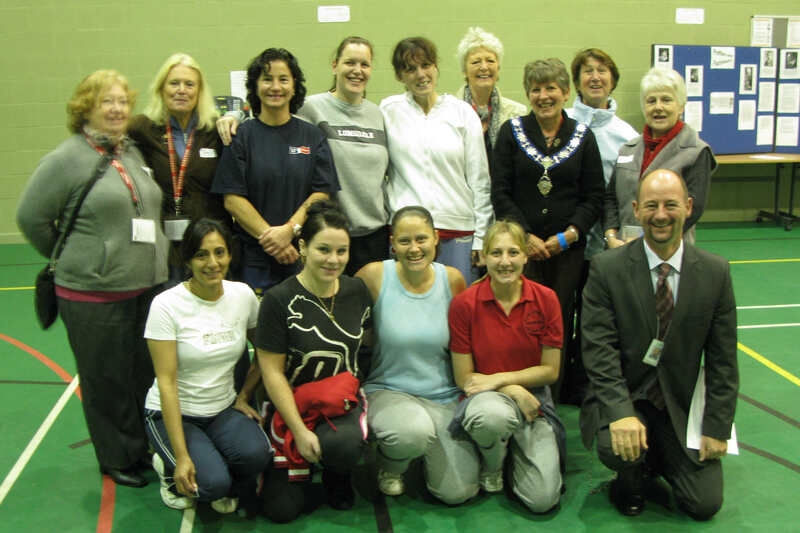 Staff, including the Governor, joined in. The Club matched the money raised by the women.